Caesar. Bellum Gallium. In The conquest of Gaul transl (1982) S. A. Handford. London: Penguin. 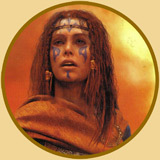 In Boudica's footsteps 2002 http://www.channel4.com/history/microsites/H/history/a-b/boud.html (accessed May 24, 2007). 3A1999.02.0078;layout=;loc=1.1;query=toc (accessed May 22, 2007).